One upon a time, the benevolent future was supposed to bemuse with hoverboards, flying cars and interplanetary travel. 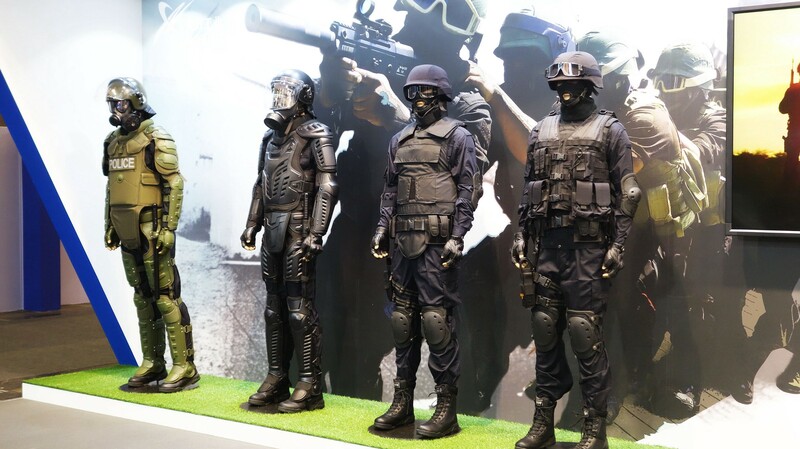 Instead, according to the folks at Slovakia’s Bozena Riot Security Systems, the dystopian future has arrived, and it is made of armored plates and riot gear. 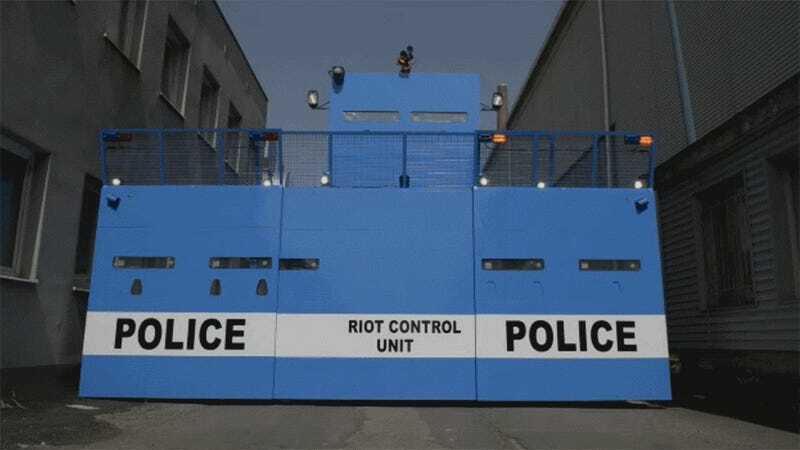 The Bozena Riot can handle virtually any duty when authorities need to put down an uprising: it is a remotely operated, armored vehicle designed to deal with riots and mobs in the streets and urbanized areas. The system offers a solution for both protecting the law-enforcement units in action and controlling the situation whenever peace maintenance is required. The truck right out of RoboCop’s OCP Detroit, has three components: a carrier, a 3000 kg adjustable shield, and a water trailer. Two water cannons can send protesters flying from the front or the rear and if that doesn’t do the trick, police can always rely on the “high-pressure tear gas gun” to disperse any riot. The truck’s shield has six launching ports to fire guns or other rubber projectile launchers while keeping the heavily fortified shooters safe. Furthermore, should the truck’s riot police passengers get stuck in an alleyway, the shield has bulldozing capabilities allowing authorities to directly engage with social discontents. To be sure, the topic of police militarization in the US has been a particularly sensitive one in recent years, so perhaps the country will avoid this tool to quickly and efficiently restore post-riot order. During Thursday’s protest over food in Caracas, chaos erupted after supermarket shoppers were told that regulated goods they had expected to be available would not be up for sale. In a sign of just how bad things have gotten, at least 19 journalists were attacked while trying to cover the chaotic events Bloomberg reports. Espacio Publico, a non-government organization that monitors freedom of expression said that the assaults include robberies by members of the National Guard and armed civilians. “We categorically reject the criminalization that the press is being subject to as they are held hostage, threatened and repeatedly intimidated by armed groups while they cover the street” the organization said in a separate statement. Venezuela’s opposition is pushing for a recall referendum on Maduro’s rule to be held this year, and after the country’s election board known as CNE canceled a scheduled meeting to discuss the status of the request, the 2 million Venezuelans who had signed the petition calling for the recall were urged to march in order to “ratify” their signatures. 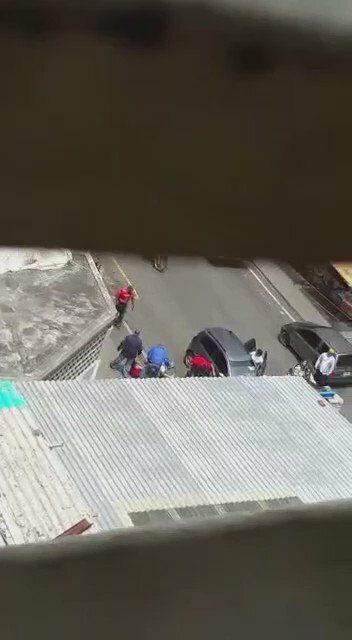 “There were some very rough hours today in downtown Caracas. Venezuela is a time bomb of social and economic discontent” he added. And according to Keith Neumeyer in his latest interview with SGT Report, that could spell disaster for socio-economic stability. Neumeyer, who is the CEO of one of the world’s top primary silver producers First Majestic Silver and the Chairman of mineral bank firm First Mining Finance, says that should The Fed and government policy makers implement negative interest rates and continue on their current course of bailing out big business while impoverishing average Americans, we could well see riots in the streets. I think there’s going to be a major revolt… If we actually do see negative interest rates in North America… we’re going to see riots. The Fed has lost credibility. And that has left the average person on the street with an air of uncertainty and concern over the stability of the system. We know that most western governments are deficit spending, borrowing heavily, in debt beyond the point of no return and must increase taxes and appropriations from their citizens. We know that politicians will take the politically expedient path instead of addressing financial problems. We know they will “extend and pretend,” delay, and distract the populace. We know that war has been a nearly constant distraction since 9-11 and that a crisis is often used as a justification for economic insanity, such as borrowing more to address an excessive debt problem. 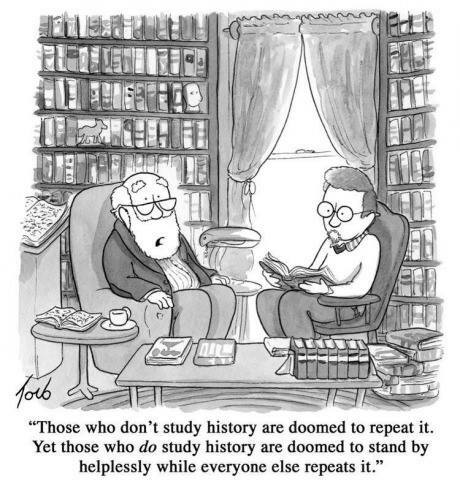 It seems likely that weakening economies, deflationary forces, excessive debt, massive unemployment, riots, economic anxiety, consumer price inflation, and so much more, will require more distractions. We should “rig for stormy weather” and expect another crisis and more wars. What would happen if the Chinese government announced that it will buy gold at $2,000 per ounce to boost their stockpile? When gold is no longer available at $2,000 per ounce, might they offer $4,000 or $6,000? What would happen if the central banks of the world admitted that Quantitative Easing is primarily beneficial for banks and the wealthy, and that QE has been a failure at stimulating western economies? My eyes were glued to my television set as I watched civil unrest unfold in Baltimore. Yet, as a historian who has studied urban rebellions, I was not surprised. Since last August, the question for me has not been why, but when. I watched CNN’s and MSNBC’s coverage. What I noticed was not surprising, but vexing, nonetheless. Commentators like Al Sharpton, Dr. Jamal Bryant, and others resorted to condemning and condescending participants and denying the uprising’s political significance. The assumption that violence is senseless and apolitical was embedded in their sanctimony. Now, I do not aim to advocate for the use of collective violence, but I believe it is imperative that we analyze its political significance. In yesterday’s press conference, President Obama argued that the “riot” distracted us from the pursuit of reform. I argue otherwise, the Baltimore rebellion not only highlights the problem of policing, it opens a space for analysis and conversation of all of the structural problems that President Obama mentioned in his reactions yesterday. Rebellions historically have also created political opportunities for reform. Dismissing collective violence as senseless, criminal, and apolitical narrows our frame for understanding the history of interconnected problems plaguing cities and municipalities like Baltimore and Ferguson such as racial and economic segregation and redlining, deindustrialization, overpolicing, the emergence of mass incarceration, and even criminal activity. I argue that collective violence is protest politics. Violent protest does contain a logic, even if it appears chaotic. The pressing question underlying live analyses of the Baltimore uprising was: Why do African Americans rebel? Are you ready for rioting, looting and mindless violence in major U.S. cities all summer long? According to a brand new Wall Street Journal/NBC News poll, 96 percent of all Americans believe that there will be more civil unrest in America this summer. That leaves only 4 percent of people that believe that everything will be just fine. In this day and age, it is virtually impossible to get 96 percent of Americans to agree onanything. So the fact that just about everyone agrees that we are going to see more civil unrest should really tell you something. The anger that has been building under the surface for so many years in this country has finally started to erupt. If you have been following my website for a while, you know that this is something that I have been warning about for a very long time. Many people may have thought that I was exaggerating when I talked about the civil unrest that was coming to American cities. But I was not exaggerating at all. In fact, if anything I was downplaying it. In the years to come, we are going to see things happen in our cities that are going to absolutely shock the world. Ever since the violence first erupted in Baltimore, what has surprised me more than anything has been the level of hate that I am seeing all over the Internet. I am seeing white people openly proclaim how much they hate black people. I am seeing black people openly proclaim how much they hate white people. I am seeing things said about the police that are absolutely horrifying. A 2011 study this month by economists Hans-Joachim Voth and Jacopo Ponticelli shows that – from 1919 to the present – austerity has increased the risk of violence and instability. Peter Turchin (professor in the Department of Ecology and Evolutionary Biology, and an adjunct professor in the departments of Anthropology and Mathematics at the University of Connecticut) pointed out in 2013 that inequality is cyclical, skyrocketing until – periodically – revolution forces concessions from those who have grabbed all the wealth. Indeed, leading institutions and economists all over world warn that runaway inequality could cause violence and unrest. For those who work for a living, the level of inequality in America today is arguably the highest in world history. As the photos below shows, several police cars have been set on fire, with windows being smashed and demonstrators throwing stones at police ahead of the massive demonstration on Wednesday, and as riots break out across Frankfurt even as thousands of police respond with water cannon, pepper spray and mass arrests. Authorities say at least one officer has been injured by a stone hurled by an activist, near the city’s opera house. Organizers have accused the police of sparking the violence, saying they set up a “civil war type scenario” to provoke demonstrators. “This is not what Blockupy planned,” spokesman Hendrik Wester told German news agency DPA. Video footage has shown riot police running through the city, with at least one protester being dragged away. Once again, thank you for all the information you provide on a daily basis. It is informative as well as scary at the same time. I’m afraid you are preaching to the hard headed. Here in Canada, people truly believe in government and socialist ideologies. It is amazing to see that they do not understand that government incompetence and debt is the real problem. They blame the corporations and the “1%” for not “paying their fair share.” No matter what is said, we here in Canada, want more social assistance and government to help us out. Consider the Liberal party in Ontario was re-elected, even though they wasted billions of dollars on boondoggles, and now they want to implement an Ontario pension plan where they take 1.4% from your paycheck and another 1.4% from the employer to put into a government run pension. We only know where that will end up. Anyway, I would like to thank you for what you are doing but I’m afraid it is too late as socialism has been ingrained from birth through education. REPLY: This is the source of the civil unrest. The bankers should sleep with armed guards because this is the type of people who will drag them from their beds in the middle of the night when they realize all is lost in their pensions as they listen to politicians blame the 1% for their failures. The politicians will NEVER admit they do not know how to manage anything. It is always that 1% who do not pay enough rather than their lack of management skills. Society has been rising up against the bankers in every society as government. Even looking at the rule of law, in China they dragged the chief justice out in his robs and killed him on the sport for always ruling in favor of the government many years ago. Riots against bankers even go back to ancient time as well as in the Middle Ages as the people burned the bankers homes in Florence during the 14th century.